Sometimes it happens. You just don’t feel like you’re getting the support you need from your Team Beachbody Coach. It might even be that your current coach stops coaching or were randomly assigned a coach when you first started. It really doesn’t matter why you want to switch coaches, what matters is that you can do it – and the process of switching coaches is super easy! On the other hand, I’ve had people I worked with change coaches, which doesn’t bother me one bit. Why? Because as a coach, I want what’s best for someone to help achieve their goals – even if that means working with another coach. 3.) Go to the following url: https://faq.beachbody.com/app/customer_coach_change_form/lob/beach and enter your information from above and send the form. It says it takes 2 business days for the coach transfer to complete, but I’ve found it typically occurs within only a few business hours. Before changing coaches, reach out and ask the person you are considering as a coach a few questions. 5 example questions. How long have you been a Coach for? What kind of support do you offer as a coach? What program do you suggest for me (noting your current situation)? Do I get the same support from you if I don’t drink Shakeology? 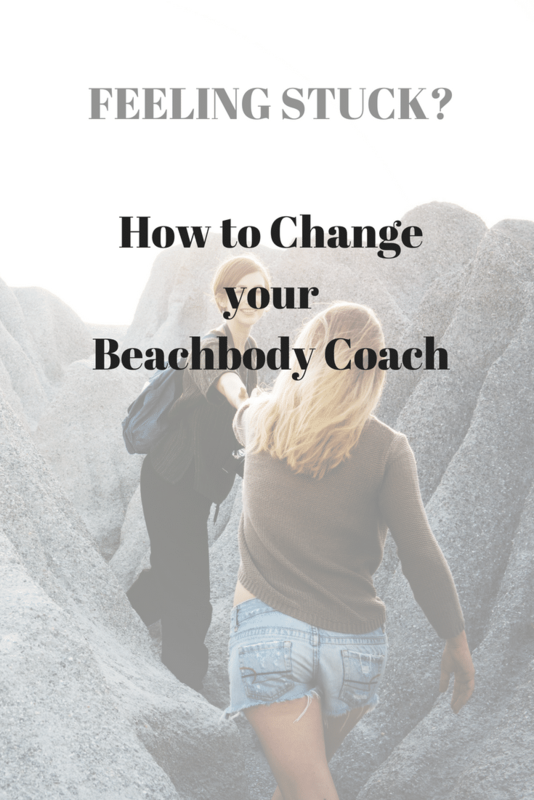 Hopefully this has given you some ideas about how to choose the best Beachbody coach for you. Below is an example of what it looks like when you fill out the coach information. I wrote this post to help people who are not happy with their current coach to see the options you have. Questions? Feel free to contact me or leave a comment below. What Does a Team Beachbody Coach Do? I tried changing my coach and they sent me an email that said I couldn’t? My coach is my ex-girlfriend, and I signed up with her after we broke up. I thought I’d be ok with it, but I’m not unfortunately and I found another coach I really feel comfortable with. What can I do?